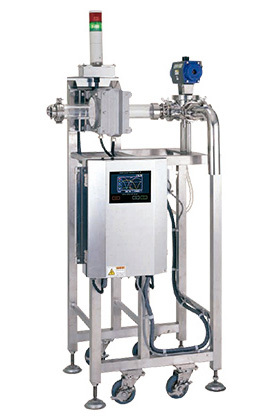 PIPE LINE metal detection system is designed for inspection of paste, minced meats, jam, slurry, sausage, baby food, soup, ice cream, and liquid products in the pipe line system. 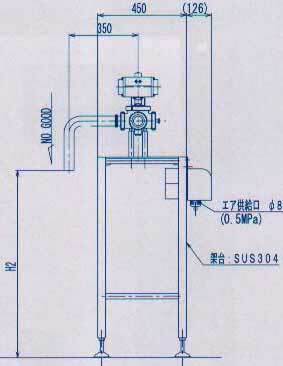 This unit is equipped in the latest control electronics type ND-820 series, and rejection valve. As the result of extensive research and development, this units delivering impressive features and performance. Inspecting on pipeline makes product effect smaller. 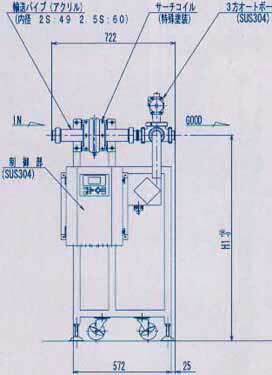 The pipe and automatic valve can be attached and detached easily for cleaning. 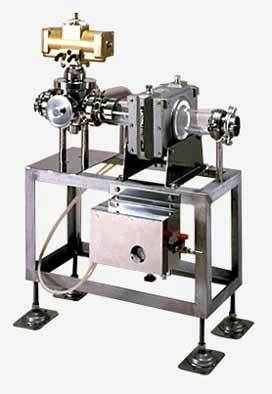 Pumping the products to the detector through pipe without air gap, consequently "Product Effect" can be reduced. Applicable to minced meat, sausage, been jam, soup, etc. High metal detection sensitivity 0.4 mm steel balls and 0.8 mm SUS304 balls. The use of a search coil having a high level of vibration resistance makes it possible to significantly shorten rejection time and reduce the amount of rejected material. The Metal Detector and rejector are integrated into a single unit for a compact design. *1: These data show results of measurements at our factory.